I left #TCEA14 wanting more. This is usually true but it was a painful realization this year. I did not get to do enough...not enough sessions, not enough exhibit hall, not enough conversations. Not enough anything! Wednesday started with CAMP-SIG breakfast. I had never attended a CAMP-SIG event before. 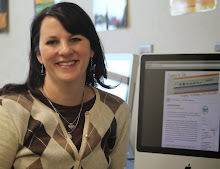 CAMP-SIG is a special interest group for campus technology specialists and classroom teachers. I was a bit disappointed by the speaker but I met some great people. Up next was the opening session with Rosalind Wiseman, author of Queen Bees and Wannabes. I was really looking forward to this session because she has a new book about boys. I am surrounded by boys so I need all the help I can get. Again, I was disappointed and distracted by the use of Comic Sans on her slides. Some of you will really understand this and the rest will think I'm a terrible snob. But seriously, I could not take her serisoulsy after seeing those Comic Sans slides. Which is awful because she had really good information when I did concentrate. The highlight of Wednesday was the TEC-SIG luncheon. I was able to sit at a table with some of my favorite people and laugh and enjoy most of lunch. The speaker was Brad Fountain. He was wonderful! The thing he said that really stuck with me is that we spend 80% of our time on launch and 20% on sustaining the initative and we need to flip that stat! I spent the rest of the afternoon volunteering in the SIG booth. I was able to help 5 or 6 people sign up for special interest groups. Thursday was half great sessions, half almost great sessions. I'll stay positive and tell you about the 2 great sessions. First up was Flipping with iTunes U. Josh Woolbright is the athletic trainer at Muleshoe ISD. He is awesome. I tried to talk to him about getting on the Twitters. I hope he'll be on soon. You can find his presentation here on iTunes U. Greg Garner spoke about creating school/classroom culture by changing the physical space. He had create photos of examples from his school. It really made me think about what a classroom/school should look like. Friday Creating Student Legacy with Carrie Ross. As usual, Carrie had great information and left me thinking about what I can do to help my students leave a legacy. The closing keynote was John Quinones of ABC News. He was, hands down, one of the best keynote speaker I've ever heard. Once again, I was left thinking about my impact on my students and teachers. I didn't present this year but I feel like I served effectively in the SIG booth by connecting educators to a group that will help them learn. But I do feel like I needed one more day. I think next year, I'll go down early for one of the academies. I did get to spend some time visiting and thinking big with some members of my PLN but I didn't add to my PLN. I have several "sorry we couldn't connect" tweets on Friday. I don't regret volunteering in the SIG booth but I don't think I'll sign up for such a big block of time. I feel like I really missed out on some time that I could have been connecting with my PLN. And, looking back, I realize that I was getting sick so I wasn't on my A game. TCEA is ALWAYS worth my time and money. This year was no exception. It was just a bit different. On Monday I will do something I've never done before, attend the funeral of a co-worker. Mrs. Cheryl Wharton passed away Thursday. Cheryl and I came to Sunnyvale at the same time. She was an aide in the special education department. Cheryl worked with special ed students her entire career, 22 in a previous district and 5 with us in Sunnyvale. Cheryl was a funny lady. She ALWAYS participated in our spirit days and had a quick smile. When we returned from Christmas break, Cheryl knew her time was short. But she wanted to keep coming to work. Because she loved her students. She took ownership and responsibility for their education. She loved her co-workers. She loved her husband and daughter. She loved her grandson fiercely. Cheryl leaves behind a legacy of love. And that's my goal as well. I want the students and teachers to know how much I love them. To know how much I love doing my job for them. Not all of us are touchy feely lovey dovey types. But you show your students you love them everyday in your own way. When you stop what you're doing to really listen to them between classes. When you ask about their outside activities. When you show up to their outside activities. When you call them on their crap in a loving way (this applies most in middle schools). When you encourage their interests. When you help them discover their passions. When you share your passion with them. When you make sure every kid can go on the field trip, even if it means paying yourself. And a million other things you do every day without even thinking about it. 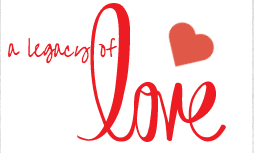 As we begin this month of love, let's consider our legacy of love. And be purposeful about building it. I am blessed to have known Cheryl Wharton and feel her legacy of love.